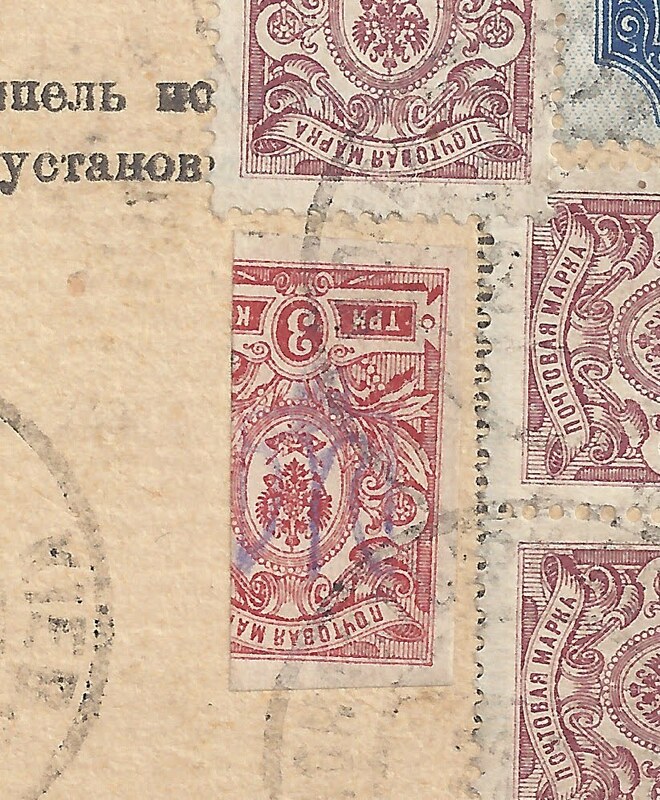 Trevor Pateman's Philately Blog: Soviet Ukraine 1921 - I Have to Invent a Word for This Item! 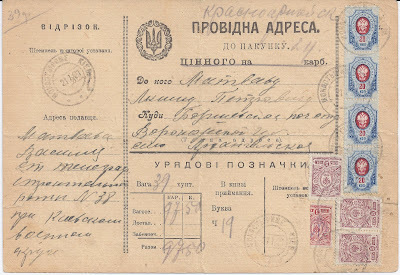 Soviet Ukraine 1921 - I Have to Invent a Word for This Item! 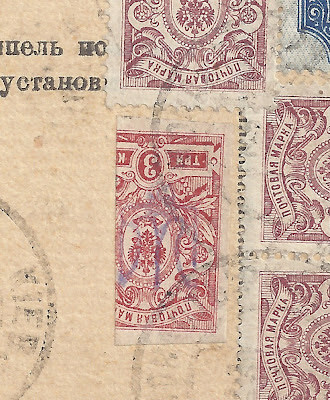 Maybe the postal clerk put the unused, sexisect portion into his accounting book to show why he had only received 2 roubles 50 for a 3 rouble stamp. 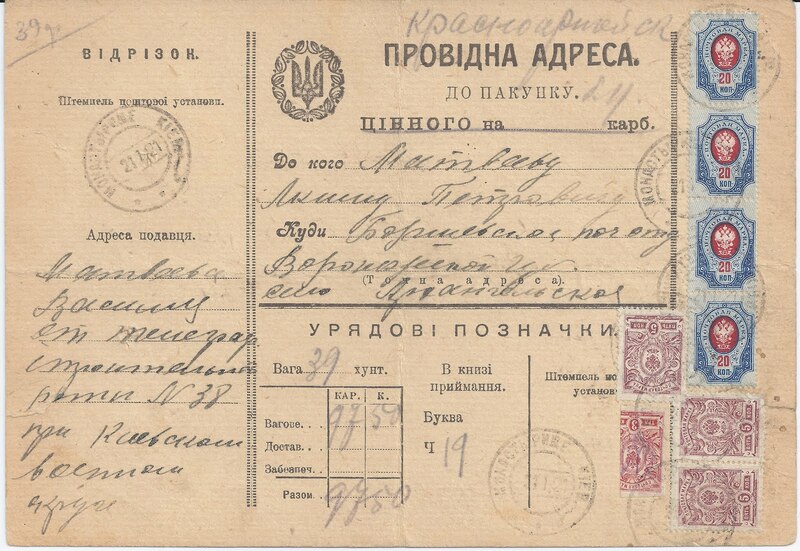 Maybe he used the sexisect on another parcel card which needed a 50 kopeck stamp.... Who knows. But I think the clerk's intention was clear.